England's Jodi Ewart Shadoff shot 67 for a share of the lead after the first round of the Kia Classic. Ewart Shadoff, 28, from Northallerton, joined Brittany Lang, Ai Miyazato and world number two Inbee Park on five under par at California's Aviara club. She hit seven birdies but two bogeys allowed her rivals to draw level. 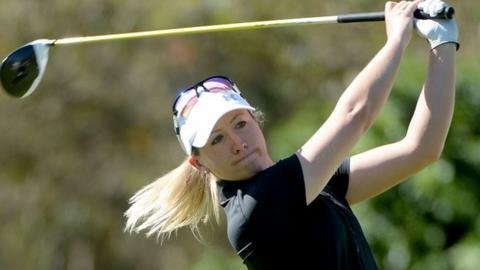 England's Felicity Johnson and Catriona Matthew, of Scotland, were both three under in a share of eighth place, while Charley Hull hit a level-par 72.